CUSTOMER I.D.(CUST.I.D.) THROUGH ACLI - FINACLE COMMANDS AND TUTORIALS. 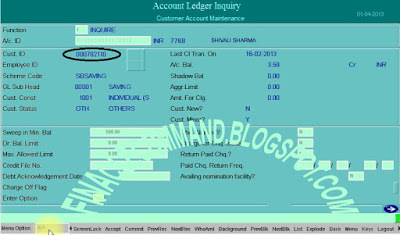 How to find Customer ID (Cust.ID) of an account through ACLI? 1.Type ACLI in finacle menu option block and press Enter. 2.Now a new screen is displayed where you had to type the account no.and press Ctrl + E simultaneously. 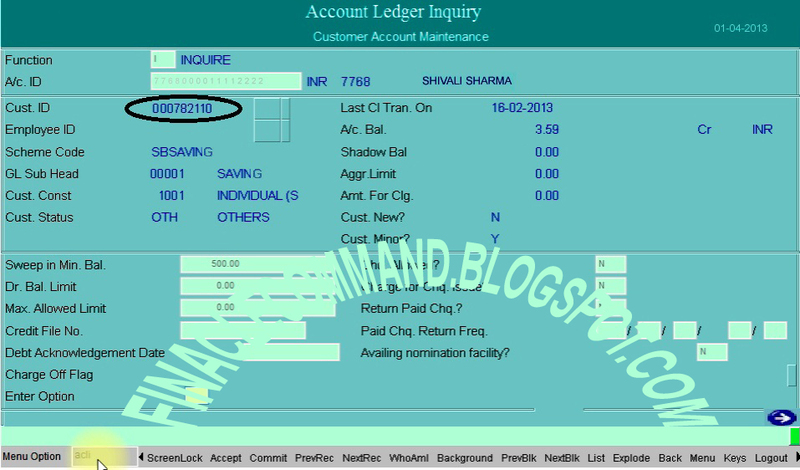 4.This is your Account,s Customer ID (Cust.ID) encircled with Black color.